Prebiotics are a soluble dietary fibers, used to stimulate the activity, or the growth of probiotics in our digestive tract. 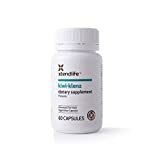 Prebiotic fibers are not digestible for humans, or we can digest them very poorly, and the only value of dietary prebiotics is to maintain our intestinal microbiota healthy. There is some scientific debate upon the classification of prebiotics, but generally, we can call prebiotic any substance that stimulates our intestinal microflora. 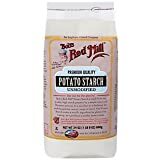 Bob's Red Mill potato starch is raw and unmodified, exactly how you need it as a prebiotic. Raw potato starch contains RSII type starch, as classified in the Advances in Nutrition Journal. If you want to need more about resistant starch, this is a great book, that goes into great details, and helps you identify foods that naturally contains it. The book is a great resource for those who want to improve their intake of idigestible carbohydrates, and understand how resistant starch works in your body. The subject is not a trivial one, yet Chase Williams, the author, manages to present it in a form that is easy to understand. The health benefits of sea buckthorn are amazing, and this little berry is almost a miracle. Hopefully, this page is enough to convince you to get some now. Probiotics are microorganisms in a symbiotic relationship with humans, and prebiotics are the food for the microorganisms. In order to benefit from probiotics, (the good microbacterial flora), we need to nourish them, to allow the proper growth of their colony; without the proper food the micro flora would just starve, and eventually die. 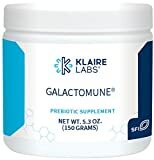 This product from Klaire Labs combines two prebiotics for a synergistic effect on gut microbiota. The blend contains galactooligosaccharides and beta-glucan, a prommising prebiotic blend. Galactooligosaccharides is a fibre commonly found in breast milk, and in lower quantities even in early cow's milk, and it is a great prebiotic, selectively feeding good bacteria. Beta-glucan is a polysaccharide with prebiotic activity and a great ability to modulate immune system. Raw plantain flour is a great soure of resistant starch. Many people do not tolerate green banana flour, but they love plantain flour. This is probaly the best source of RS2 type resistant starch. Starch from raw potato is easier to dose than this flour, and people love it for its lucid dreams inducing capabilities, but plantain flour is safer to use, and better. A great benefit of this product is that it causes less gastrointestinal discomfort than other resistant starches. I also love the texture of it in my smoothie. Larch tree exctract, arabinogalactan, is one of the best prebiotic fibers. One of the reasons is because it selectively feeds the good bacteria, while maintaining a great digestive tolerance. Unlike most of the prebiotics, larch extract will not give you painful gas problems. 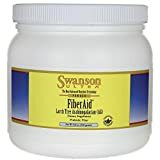 FiberAid from Swanson is completely soluble in liquid, and can't even notice it in your coffee, tea, or smoothie. Jarrow Formulas prebiotic is a combination of inulin and Froctoolygosaccharides. Fructoolygosaccharides and Inulin are different types of prebiotic fiber, and they selectively stimulate colonic bacteria. By taking a combination of the two fibers, you ensure you fertilize more types of bacteria. Microbiota biodiversity is a key for maintaining a great gut health. Prebiotic supplements are the easiest way to get enough soluble fiber in your diet. For best results you should supplement with various types of prebiotics. This will ensure an uniform fertilization of all bacteria species in our guts. If you get enough soluble fiber in your diet, you don't need prebiotic supplements, however, that's almost never the case with most Western diets. This is pure raw, unheated, unpasteurized honey, the way it should be in order to preserve its curative properties. Raw honey is the way we should eat it, because besides the sugar and the trace minerals, it contains some other amazing compunds and enzymes, that are unique. Kiwi-Klenz from Xtend-Life is a standardized kiwifruit powder with proprietary kiwi extract Digesten-K. It contains both of the components in an equal amount, 250 mg per capsule. The kiwifruit powder is nothing special besides the fact that it comes from New Zealand, and these are the best kiwis in the world. However, just as simple as it appears to be kiwifruit powder is a powerful antioxidant and prebiotic. There are numerous other manufacturers who sell kiwifruit powder, but simple powder, although less expensive, is not as powerful as Kiwi-Klenz. Fermented foods are foods that are transformed through controlled fermentation, by microorganisms. Food fermentation has various objectives such preservation, taste and aroma enhancements, or even obtaining absolutely new foods, or drinks, without any resemblance of the original ingredients. Raw milk is getting a lot of public attention lately, because commercially available milk is linked to health problems. Is it safe to drink raw milk though? Why is raw milk better than pasteurized? What is the difference between raw and pasteurized milk, and what is UHT milk? The increasing interest in drinking raw milk is legitimate, however the real problem might not be the pasteurization of milk, but the ultra pasteurization. Raw milk has proved to have great health benefits, yet the legislation doesn't allow its distribution, because of the risks of infection with bacteria. Gum Arabic is probably one of the most underestimated foods. Maybe because we use it mostly as a stabilizer in the food industry, and we think that, as most of the stabilizer, it's there only to enhance the final product, and it is not an essential food. This is so far from truth. Gum Arabic, or Acacia gum, as it is also known, or E414, as it appears on many product labels, is a great food, that can improve everyone's life. It is one of the foods with the greatest content of soluble fiber, and is used by an increasing number of people to treat, IBS, diarrhea, constipation, reduce cholesterol, and even help with weight loss.